It is your wedding day coming up and you are feeling exited about every single detail that can bring this special day to the perfection? 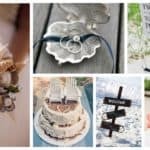 The wedding dress, the decorations, the invites and of course, the bridal bouquet are the first “must carry about” stuff when planning a wedding day. And while you can’t experiment a lot when the wedding dress and the whole bridal outfit ( makeup and hairstyle) is in question, there is one thing that you can definitely experiment with, and to insert some personality in, and that is the bridal bouquet. Nowadays, a lot of brides decide to carry fresh flowers bouquets for their wedding day, but there are so many of them that instead of fresh bouquet, decide to wear, believe or not, a paper flower bouquet. 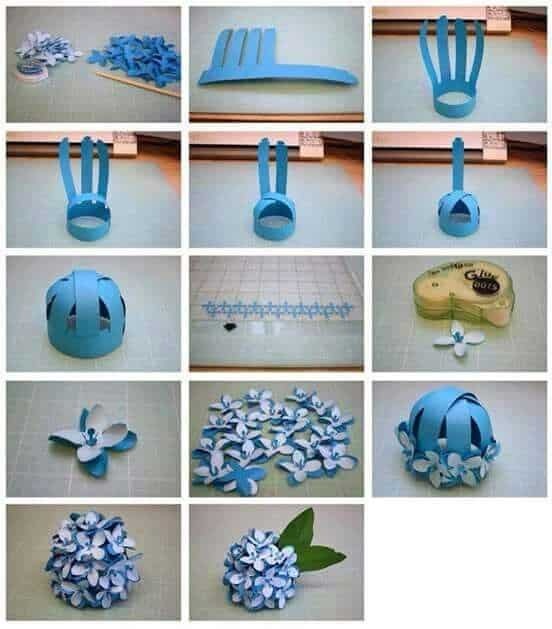 Yes, with a little creativity, paper, scissors and hot glue, you can have the wedding bouquet of your dreams. What is the best is that you can make it on your own, without having to spend a fortune buying a fresh flower bouquet. 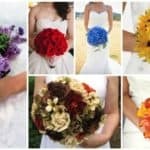 One other positive thing is that your bouquet will be unique, and so personal, and we all know how emotional brides to be become before the wedding, so having something so personal will help them with their emotions. 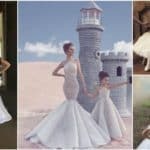 Paper wedding bouquets are becoming an increasing hit over weddings in the last years, so you won’t be out of the fashion, if you decide to have your paper flowers bouquets, but on the contrary, you will be totally in. 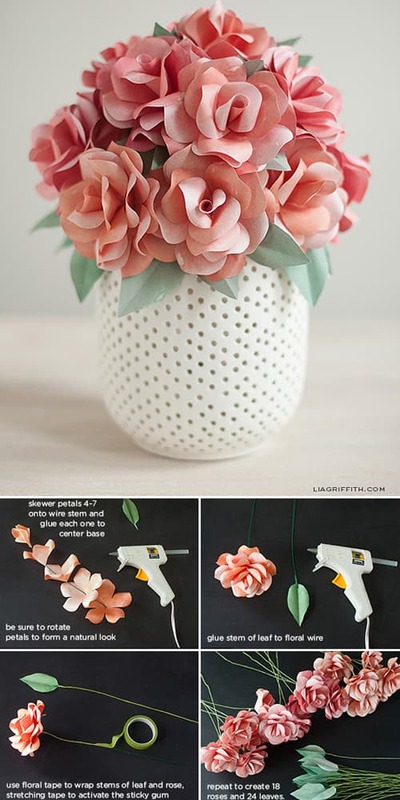 Below we have selected few DIY step by step tutorials that will help you to make your dream’s bouquet. 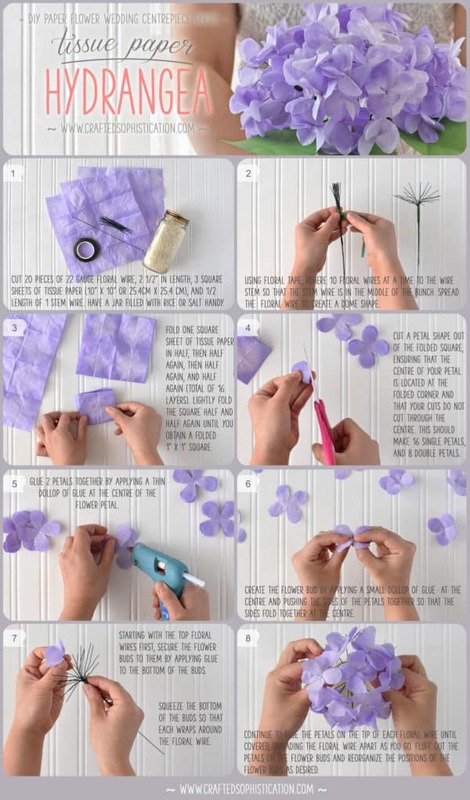 You can use one of the tutorials and create any of the bouquets in the gallery below, or you can combine different paper flowers from different tutorials, and arrange them into your perfect wedding bouquet., the best is that you have the freedom to experiment with different flowers and colors, so that you can accommodate the bouquet according to the other wedding decorations. Good luck!